A number of studies have found that chocolate can provide cardiovascular health benefits, though some types of chocolate are more beneficial than others. Many of chocolate’s health benefits come from flavonoids, potent plant-derived antioxidants that help the body process nitric oxide in order to facilitate healthy blood flow and prevent the clogging of arteries. Additional foods such as tea, red wine, blueberries, cranberries, peanuts, apples, strawberries, and a number of other fruits and vegetables also provide high concentrations of flavonoids. 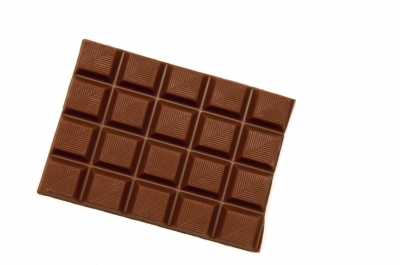 Dark chocolate has far more flavonoids than milk chocolate, and white chocolate does not provide the flavonoid-related benefits at all because it does not contain cocoa. Many cocoa powders and chocolate syrups also do not provide the same benefits because processing and/or preparation removes most of the flavonoids. Flavonoids may work similarly to low-dose aspirin to prevent the clotting that impedes blood flow. While chocolate certainly should not be viewed as a substitute for aspirin for reducing the risk of cardiovascular attacks, flavonoid-rich foods can be very helpful for those who are unable to take aspirin for a variety of reasons. Flavonoids found in high concentrations in chocolate, particularly dark chocolate, may reduce the risk of heart disease and stroke: 40 grams of milk chocolate provides about 400 milligrams of antioxidants, comparable to that provided by a glass of red wine. Dark chocolate provides 2-4 times as many antioxidants. There are some indications that chocolate can also induce relaxation. Small amounts of the amino acid tryptophan may decrease anxiety by increasing serotonin levels. A release of endorphins in response to chocolate consumption may reduce the body’s sensitivity to pain as well. These benefits will be minor, however, as the quantities are quite small. There is a misconception surrounding the discovery that chocolate contains cannabinoids, marijuana-mimicking substances that bind to certain brain receptors to produce a high. A 130-pound individual would have to consume 25 pounds of chocolate quite quickly in order to achieve the sort of high that marijuana induces. Although it may provide cardiovascular benefits, chocolate is high in sugar and fat, which can lead to obesity and exacerbate conditions such as borderline diabetes. Additionally, the combination of caffeine and sugar can lead to sugar crash and exhaustion, which is particularly devastating for those with chronic fatigue syndrome, as well as inducing panic attacks in susceptible individuals. The crash can also lead to dizziness and nausea in those prone to hypoglycemia (low blood sugar). Those who wish to obtain the benefits of flavonoids without worrying about weight gain or refined sugar intake could just as easily achieve these benefits through consumption of tea, berries, apples, broccoli, or other low-calorie sources. One cup of broccoli contains only 20 calories, compared to approximately 1,000 for a cup of chocolate. Chocolate is also not as rich in vitamins, minerals, and fiber as fruits and vegetables. Chocolate in moderation may provide health benefits for those who do not suffer from diabetes, hypoglycemia, or severe anxiety disorders. If you enjoy chocolate and eat it regularly, the most beneficial types are dark chocolates that contain only natural ingredients and are not overly processed. For more food articles, see the main Food and Nutrition page. For more health articles, see the main Mind/Body Health page. This article is provided for informational purposes only and is not intended to be taken as medical advice. If you have any concerns regarding your health or whether chocolate could aggravate a pre-existing medical condition, you should consult your doctor. Schmidt, P. (March 29, 2002). “Chocolate’s Potential Health Benefits – and Its Effect on Chronic Fatigue Syndrome Patients.” ImmuneSupport.com.